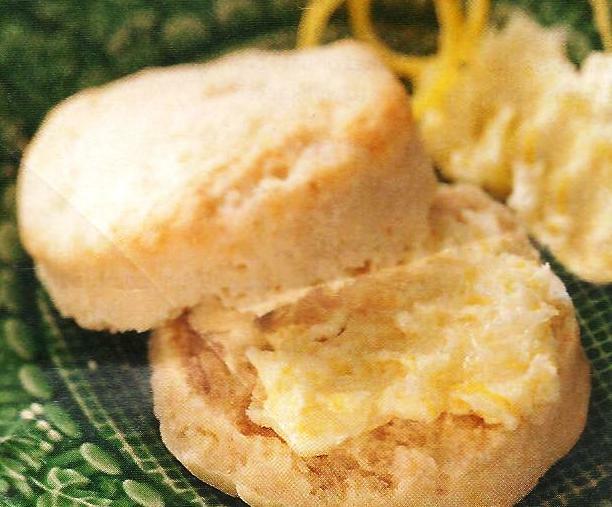 These biscuits are perfect for a warm summer day breakfast or brunch – or for “anytime” snack! The turn out beautifully flaky and have a subtle but pleasant tang that comes from both the lemon juice in the dough and the accompanying lemon butter. Add them to your next breakfast or brunch menu or serve them as an afternoon treats! In a large bow, combine the flour, sugar, baking soda and salt. Cut in the shortening until mixture resembles fine crumbs. Stir in the milk and lemon juice until just moistened. Turn the dough onto floured surface and knead 8-10 times. Bake at 450F for 8-10 minutes or until golden brown. In a small bowl, combine all ingredients until blended. Hope you will enjoy this recipe – please send me your comments, suggestions and experiences. Your input is always welcomed and very much appreciated!